5. www.duffelblog.com: Russians training pudgy, tattooed honeypots to target enlisted. 6. Business Insider: Russia says it’s arming its warships with a new weapon that makes enemies want to vomit. 7. NBCNews.com: Report: Russia will meddle in European elections, keep prepping for war with NATO. In a conflict, Russia would likely hit the Baltic states first, but war between Russia and NATO would involve attacks on Western Europe, says a new report. 8. Wall Street Journal: Elisabeth Braw, How the British Hit Back Against Russian Agitprop. The Kremlin loves using disinformation to sow chaos. Deterrence requires a plan for a second strike. 9. Paul Goble: Putin Preparing Russians for War Much as Stalin Did in 1938-1939. 10. Moscow Times: Gleb Pavlovsky, Taking to the Street Left Russia’s Opposition Out in the Cold. The street calls for simple solutions, at a time when there are no easy answers. 13. TASS: Vedomosti: US may become the world’s second oil exporter, experts forecast. 14. 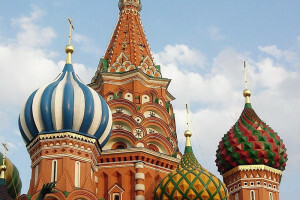 Financial Times: US business threatens to stay away from Russian economic forum. Executives protest against Moscow’s detention of investor Michael Calvey. 15. Reuters: Kremlin shrugs off possible U.S. boycott of forum over investor’s arrest. 16. www.rt.com: US sanctions against Nord Stream 2 gas pipeline ‘under consideration’ – energy czar. 17. Wall Street Journal: Russia’s Economic Clout in Europe Grows Despite Sanctions, Study Says. Lax corporate rules and uneven anticorruption practices said to allow its expansion despite U.S. and European sanctions. 18. Interfax: Russia did everything it could to save INF Treaty – ambassador. 19. TASS: RBC: Moscow has no plans to hand over Kuril Islands to Japan. 21. Valdai Discussion Club: Yaroslav Lissovolik, A Different Global Governance: Taming the Excesses of Realpolitik. 22. Carnegie Moscow Center: Konstantin Skorkin, How Petro Poroshenko Became Ukraine’s Top Patriot. 23. The American Conservative: Peter Van Buren, Paul Manafort: Eulogy for a Straw Man. The pivot from collusion to generic corruption only exposes how empty the process is.